Got a bundle of fresh spoils hot off the presses for ya! Check below the link for more information! SO. MANY. CARDS. SPOILED. I CAN’T CALCULATE ALL OF THE DECKS THAT CAN BE MADE FROM THESE! More info below the break! 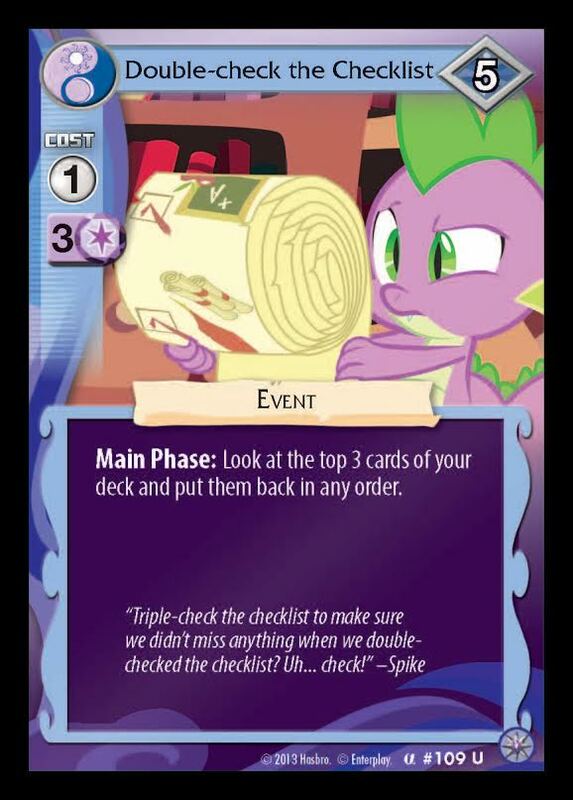 News from Equestria Daily and Amanda from the MLP CCG development team on a new keyword and card spoiler for the upcoming MLP: CCG set, Canterlot Nights. Read more about the new keyword “Supportive” below the break. Amanda hints Twilight Velvet won’t be the only pony to wear the new “Supportive” keyword, others will come from amongst the close family and friends of our favorite colored ponies. Make sure to grab some of the new “Supportive” cards when Canterlot Nights releases on May 16th!